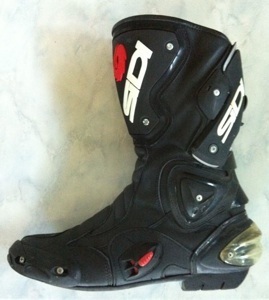 Sidi Vortex race/road motorcycle boots, black, size 46 (tight fit, my normal size is 45). Shin, ankle, heel and calf protectors. Quick release system. Was one of the most expensive models.